The Republika Srpska is borrowing millions to decrease the number of RS Railways workers. At the same time the company keeps jobs for employees who don’t even show up for work. Republika Srpska (RS) Railways worker Mladen Panić began serving a one-year prison sentence early last year for a traffic accident he caused that killed his friend. According to the law, the length of his sentence was cause for termination, but his job was waiting for him. The RS Railways never received official confirmation of his conviction so the employees in Doboj behaved as if they did not know where their colleague was. Panić’s boss and best man Mirko Ostojić falsely reported his attendance, filed sick leave forms in his name, and approved his annual leave in order to cover his months’ long absence. Panić managed to keep his job and his paychecks. For years, the RS has taken loans from international creditors to get the RS Railways up and running. The significant amount of this money has been intended for compensation packages to workers who will lose jobs or retire because of the company’s downsizing. At the same time, the company retains and pays workers who rarely if ever show up at work. One is Rajo Šiljak from East Sarajevo. He’s been with the RS Railways for a long time, but he can be rarely found in his office in Doboj. His supervisors could not tell CIN reporters with certainty what his duties were and where exactly he worked. Even though everyone knows he’s not a regular at work, they all expect the problem to solve itself when Šiljak retires. Meanwhile, he may continue to receive a salary and a monthly travel allowance for transport from his East Sarajevo home to Doboj, where his superior records his daily attendance. Six years ago, 25-year-old Mladen Panić caused a huge accident. Returning from a night out, he lost control of a vehicle crammed with another nine young people. One died. District Court in Doboj sentenced Panić to a year in prison and he should’ve been sacked. According to the RS Labor Law, employment contracts should be terminated if a worker is convicted to a sentence longer than six months. RS Railways did nothing in this case. Panić was supposed to report his conviction to the company. Instead, he asked for a year’s unpaid leave. After his request was turned down, he took a sick leave and left to serve his sentence in East Sarajevo. Mirko Ostojić, the head of a railway department in Doboj, who was not only his boss but also his best man, helped him out. While serving his sentence, Panić was allowed to visit home for a few days every month. A Doboj Public Clinic doctor certified his sick leave so Panić was able to justify his absence for three months. The clinic’s management refused to tell CIN whether the certifying doctor knew that his patient was a prisoner. The clinic also did not reveal the medical cause given for the sick leave. Afterwards, Ostojić signed Panić’s request for an annual leave and overtime he had not used from the previous year. Even taken altogether, this still didn’t cover all the time Panić was away in prison. So, Ostojić falsely reported Panić’s attendance for another two months. Panić’s father Novo is the director of Locomotive Sector and is in charge of the departments across the RS. In a CIN interview Novo Panić as Ostojić’s boss took responsibility for the whole situation. “Yes,” the older Panić told CIN. Even though both are aware that they had crossed the line of law, they say that they did it in order to help Mladen pay off compensation he owed for the accident. Ostojić said that he helped a 22-year old Panić carry the burden of compensation worth 100,000 KM. “For me it is worth breaking the law and whatever else,” says Ostojić. Meanwhile, the Basic Court in Doboj pardoned Mladen Panić by decreasing his sentence and after seven and half months in prison he returned to work. He did not want to talk to CIN. Novo Panić, director of the RS Railways Locomotive Sector, knew that the law was broken because of his son Mladen. “If I don’t say that I had done this consciously, than what?” Novo and Mladen Pavić were not disciplined for falsifying Mladen’s attendance records. 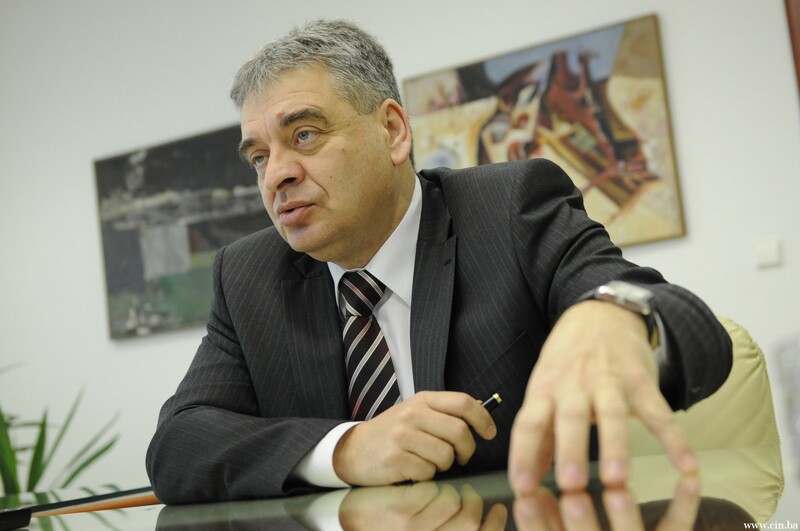 Ten days after Panić’s return to work, RS Railways mangers got an anonymous complaint and they learned of the fraud. Disciplinary proceedings were begun. The sector headed by Panić’s father was tasked with establishing who was responsible and meting out punishment. 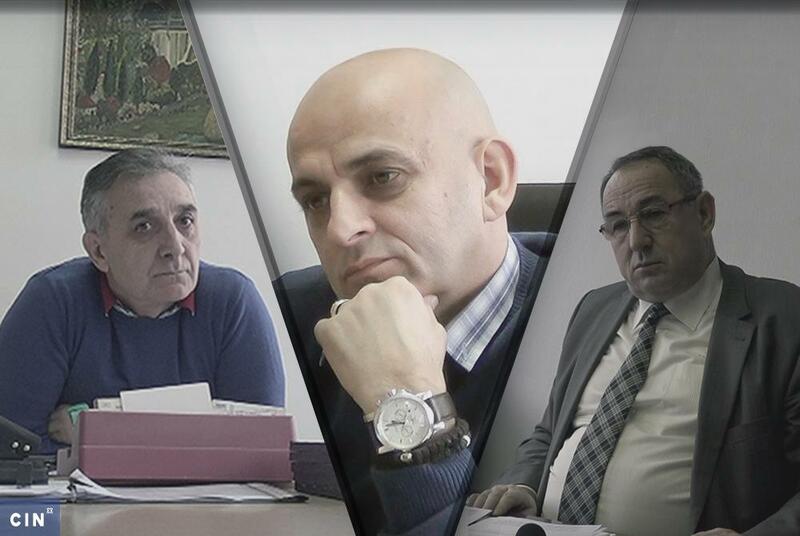 As he could not do it himself, Panić senior authorized his deputy Zoran Vasiljević who concluded that his boss’s son had committed “a light violation of work duties”. “By this, they have charted the course of proceedings and the outcome of the proceedings, because one disciplinary action is meted out for a grave offense of work duties and another for a light offense,” lawyer Željko Rašević told CIN. Panić had to again authorize somebody other than himself to decide on punishment. His second deputy Predrag Pecikoza decided that Ostojić should receive 10 percent off his next two paychecks, while the other perpetrator – a record-keeper Branko Pašalić — got a reprimand from the Department. The Panićs were not disciplined for their acts. RS Railways lost 5,898 KM in the fraud. The damage was shared among Ostojić, Pašalić and Mladen Panić. The Sector headed by Mladen’s father tried to decrease the amount of damage to 2,677 KM, but this was not accepted. RS Railways’ acting director general Zoran Ilinčić said that the company has no way of more strictly sanctioning violations of the RS Labor Law in cases when it learns about them after the fact. According to ministry’s records, the RS Railways finished 2018 with an accumulated debt of 111.5 million KM. It spends around 38 million KM a year on salaries and benefits. For years, the company’s union representatives complained about workers who didn’t show up for work, yet still received their salaries. “If there’s no money than all of us are shouldering the burden. No money – no waste, no expenses,” said Simo Cvjetković, president of the Independent Union of RS Railways’ Railroad Engineers. “This is for us a typical expense, that someone is reported to be present, while they are absent”. Some former and current managers say that there are many cases like these. 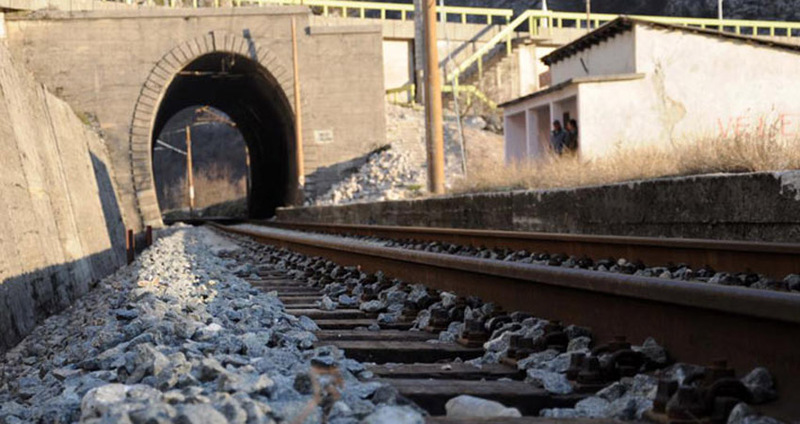 Last year, the Republika Srpska took a 100 million KM loan from the World Bank to restructure the RS Railways and improve its financial sustainability. Seven million KM is planned for lay-offs, that is, compensation packages and training for workers. The RS government and RS Railways will be paying back this loan over the next 32 years. Director General’s assistant Dragan Savanović says that about 1,000 fewer workers are with the railways now compared to eight years ago. By the end of next year, the company must retire or lay off another 400. It should not hire anyone new, but in those cases when someone must be added, management must secure go-aheads not only from the RS Ministry of Traffic and Communication but from the World Bank as well. Last year the ministry approved hiring 11 workers, but the World Bank rejected every one. In the past years, the company simultaneously laid-off and retired workers as well as hired new ones. The company’s majority owner is the RS government that’s been taking out loans to help the company stem loses. On top of that, every year the RS government gives it another 25 million KM for maintenance. The company’s owners appoint the Supervisory Board which is tasked with appointing the management whose members are obliged by the company’s charter to work in its interest. One of three members of the management – Executive Director Dragan Subašić told CIN that it is difficult to oversee workers in such a big company. He did nothing to stop the misuse even in a case brought to his attention. His predecessors did nothing as well. Rajo Šiljak has worked for more than 20 years in the RS Railways. He lives in East Sarajevo, while his job is in Doboj. He is an associate in Novo Panić’s sector. Panić said he rarely sees Šiljak even though he regularly records his attendance. On average, Šiljak comes to Doboj once a month and to the management building only – not to his work place. 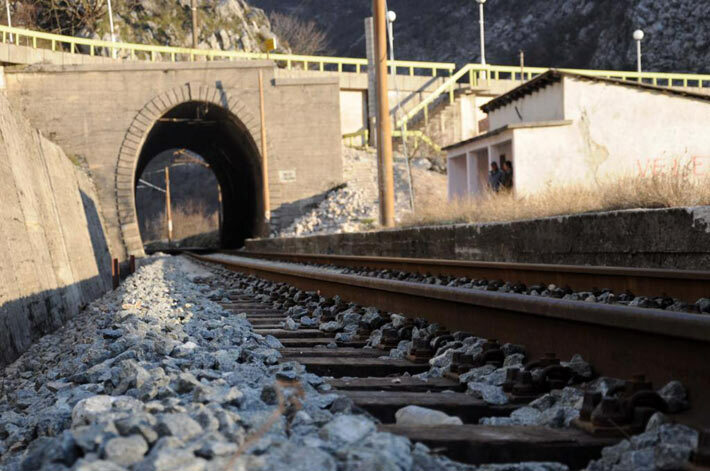 Four years ago, Šiljak agreed with the former director general Dragan Savanović to be “liaison officer” for the narrow railroad in Višegrad. “I needed a man who would be representing us in contacts with tourism organizations and local authorities with regard to narrow railroad,” said Savanović. Former executive director of the Operations Department Todorović signed an authorization that explained the matter. However, an authorization is not a document relevant in labor law when it comes to assigning a worker to a different job and it cannot cancel the worker’s obligation to come to work place specified in his job contract, lawyer Rašević explained. “Permanent transfer requires a new contract or an annex to a contract,” he said. Šiljak’s employment contract was not changed and Panić’s office in Doboj continues to record his attendance to this day. “There’s only this paperwork that they kept,” said Šiljak. “But I’m over here and they know that. Draženko knows it and Savanović knows it too.” He was resolute that he negotiates his affairs only with the executive director and director general. While Acting Director General Ilinčić believes that Šiljak is stationed in Doboj and is not aware of his responsibilities in Višegrad, the executive director Subašić knows that he rarely shows up for work and is unbothered by that. However, CIN found that the RS Railways does pay the cost of transport to Šiljak even though he does not make that trip. Along with his salary of 1,200 KM a month, Šiljak collects another 150 KM for travel expenses from East Sarajevo to Doboj.